Are you planning to publish a project? Well it’s pretty normal if you happen to get confused between are you supposed to add an appendix or an annex at the end of the project. Reading through this article would be a good idea if you’re looking to clear out the differences between the two and make sure that your project is free from unwanted mistakes. An annex is essentially part of the main text but is placed at the end separately so as to make the whole document clearer; whereas an appendix is essentially additional text which full fills the purpose of supplementing the main text. In a way one could say an annex can also be called an appendix but the same is not true for appendix. 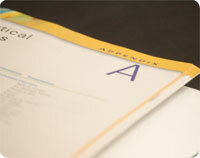 An appendix basically contains data that cannot be placed in the main text. It is referenced in different parts of the main body and ideally should not be a stand alone document. A trick to remember this is that one is appending data to a document the aim of doing this is adding greater details and visual examples that would help in better understanding of the main text. Annex basically could be considered a completely different document altogether very often called a stand alone document which could not be added to the original document but still holds great importance to the overall publication and thus it is important that it still is added. In general, for policy matters, the appendices are usually assumed to have been written by the original author of the document. The annexes, on the other hand, are usually assumed to have been written by an external party. When writing your project it is very important the information about the various sources that you have used while making the project whether you have copied it or modified it and then added it to the document. Also make sure you have proper copyright permissions. lanceaksh. "Difference Between Appendix and Annex." DifferenceBetween.net. July 24, 2009 < http://www.differencebetween.net/language/difference-between-appendix-and-annex/ >. it will be well understood if it is provided with some examples. theory is good but giving example will definitely help to understand and remeber for a long term. I would think for example, a dissertation I am writing about a UN Summit…. Additionally, sometimes raw data like a interview transcript would be in the Appendix if you are referring to an interview you conducted in the text, and want to show the quote in context, or refer the reader there for more details…. Thank you so much! Your comment was extremely helpful for me!